Seven graduate senators and four undergraduate senators are vying for another term in the Student Association Senate next academic year. Although their seats are not guaranteed, due to a recent measure allowing write-in candidates to compete for senate spots, the 11 senators will almost certainly return to the SA for the 2018-19 academic year. The measure, which passed in December, is a part of a larger overhaul of SA elections and allows a student not originally on the ballot to unseat a candidate if they receive more votes on election day. 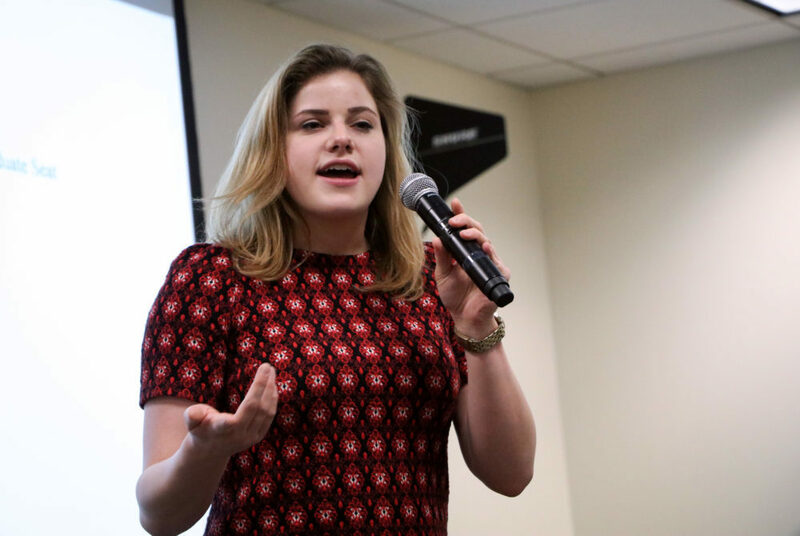 Why she wants to return to the SA: “I’m just getting started, and if I have some more time that I need, I feel like I will really be able to make change in the business school and in the University at large,” Olivia Eckstein said. What she’s done this year: When she applied to the senate, Eckstein said she wanted to have the University release the final exam schedule before the start of the semester because waiting to arrange travel plans can be “a burden.” Eckstein – who was confirmed by the senate Feb. 12 – said she plans to follow up on that idea. What she wants to do next: Next year, if elected, she said she will seek to eliminate the requirement for business school students to take a science class because business students already have several other course mandates. 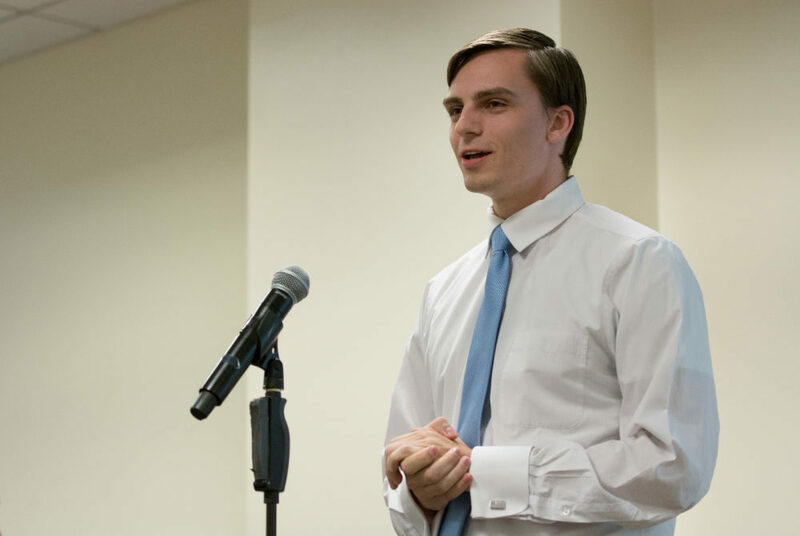 Why he wants to return to the SA: Matthew Ludovico, who has been in the senate since the fall, said he wants to return to the SA to make sure more students are given a “voice” on campus. What he’s done this year: While on the SA, Ludovico co-sponsored the Free 18th Credit Act, a bill asking the University to pay the costs for students wanting to take 18 course credits in a semester. He has also pushed for freshman senators to have voting power in the SA. Both initiatives will appear as referendums on the ballot this week. What he wants to do next: Ludovico said he wants to work on affordability, sustainability, diversity and inclusion and to continue cutting student expenses. He said he wants to explore ways to make GW more “eco-friendly” and work with the Multicultural Student Services Center to continue promoting cultural organizations. 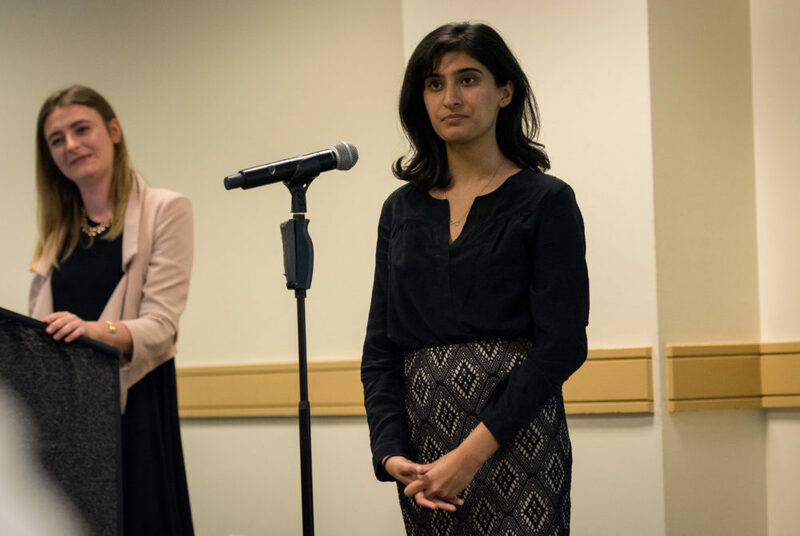 What she’s done this year: When applying to the SA, Ranni said she had two main goals – increase software and textbook resources in Gelman Library and expand the Knowledge and Action Career Internship Fund, a program that funds students who pursue unpaid internships. What she wants to do next: Ranni said she hopes to pass legislation increasing Gelman Library resources and expanding the KACIF program. Sen. Finley Wetmore, SEAS-U, who is running for the same position, did not respond to multiple requests for comment. Why she wants to return to the SA: Shaheera Jalil Albasit, who was appointed in October, said she is just “getting to know things better” in the senate and that there are plenty of projects she still wants to work on. What she’s done this year: During her time on the SA, she said she is most proud of co-sponsoring the Alpha Phi Bigotry Act and the Inauguration Spending Act, which condemned the University for spending about $500 million on activities surrounding University President Thomas LeBlanc’s inauguration. 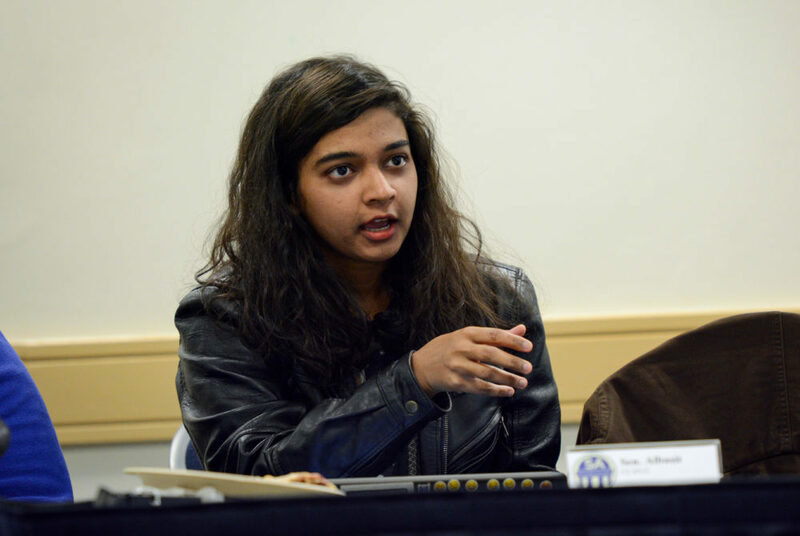 What she wants to do next: Jalil Albasit said she wants to work on getting Metro passes subsidized for graduate students to alleviate the costs of traveling to and from campus, a plan University administrators rejected despite overwhelming student support in 2016. Why she wants to return to the SA: Anisha Hindocha, who was appointed in September, said she believes she can be a “driving force” to “make a lot more change than we were able to do this year,” now that she knows the way the senate works. What she’s done this year: She said she has worked on rewriting the bylaws for the Joint Elections Commission – the body that oversees the elections for the SA – and has spoken with members of the JEC about improving access for off-campus students to run in SA elections. She also co-sponsored a bill earlier this month that requires all SA Senate meetings to be streamed online. 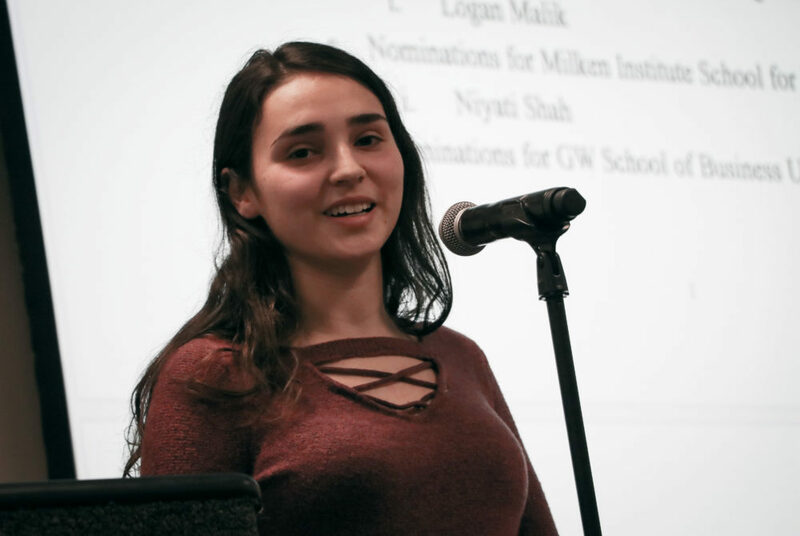 What she wants to do next: She said she wants to expand the list of days that GW accepts as religious holidays, speaking with religious and cultural student organizations to see what holidays students celebrate that the University excludes. 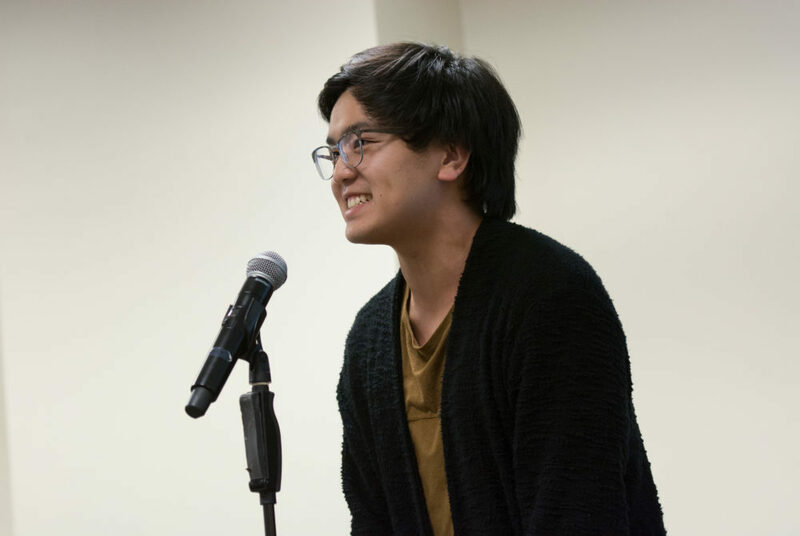 Why he wants to return to the SA: Alvin Lam, an online student from Philadelphia, said he wants to better represent online and off-campus students, who he believes “still haven’t been fully heard” in the SA. 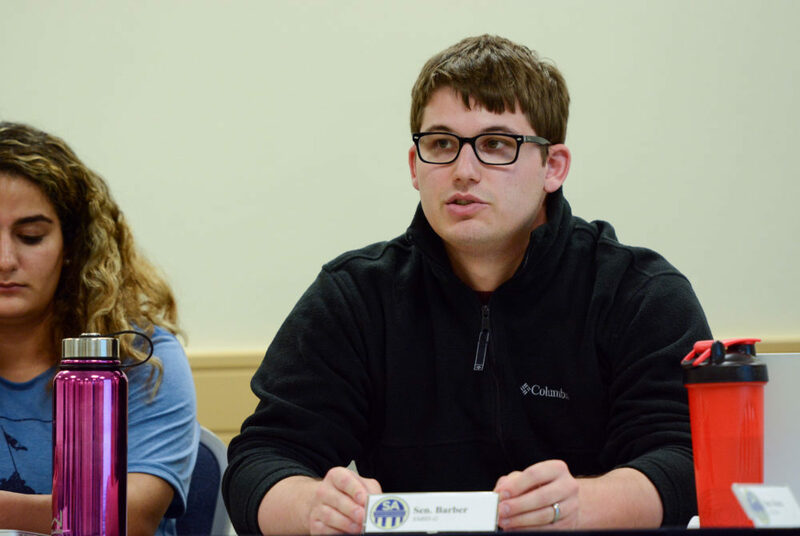 What he’s done this year: Lam recently sponsored the Off Campus and Online Students Act, a bill that passed in the senate March 5, requiring that all senate meetings be livestreamed and allowing off-campus SA senators to virtually join biweekly meetings. 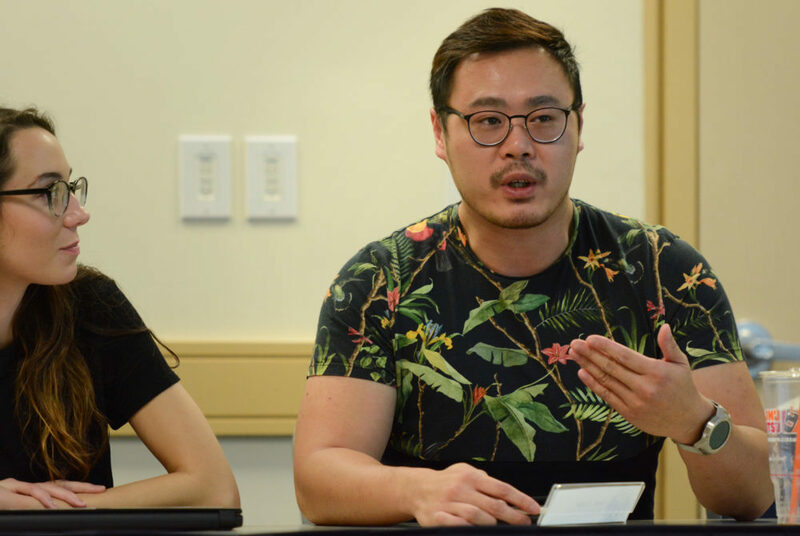 What he wants to do next: Lam said he plans to develop a special online platform for off-campus and online students to communicate directly with members of the SA. 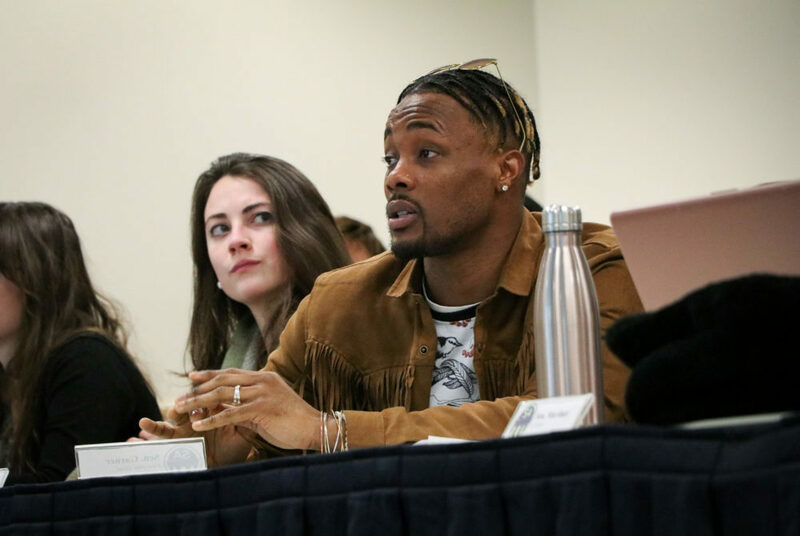 Why he wants to return to the SA: Jabari Link, who filled a vacancy early this semester, said he wants to continue representing students in the law school, who often feel “disconnected” from the SA and the rest of GW at large. 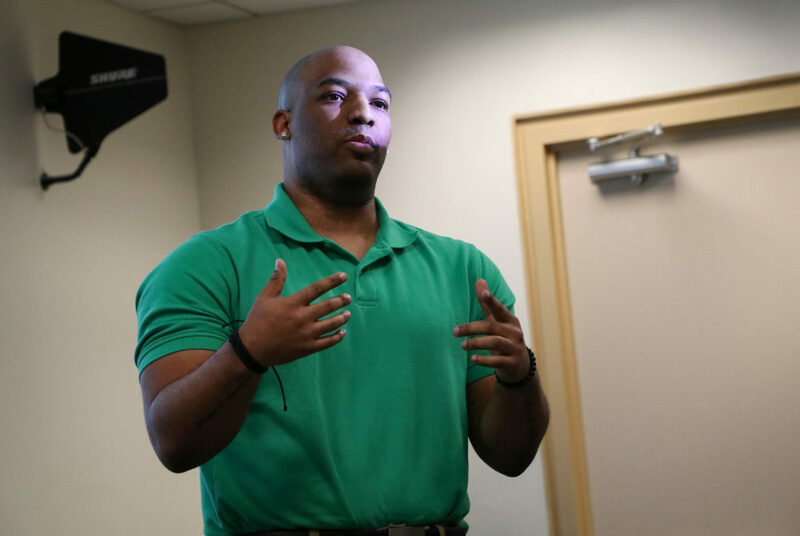 What he’s done this year: Since joining the SA, he said he has spoken with members of the senate and the executive branch about getting the law school more involved in the SA. What he wants to do next: Link said he will continue improving how law students are able to participate in SA elections. He said there has been a “hiccup” in years past because law students don’t use the same emails as others to log into OrgSync – the platform where voting is hosted. 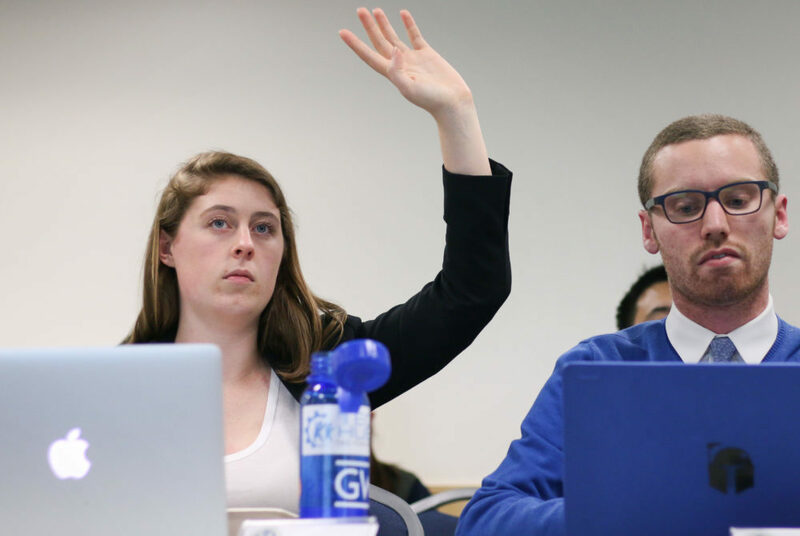 What he’s done this year: Molesky said he has been working to expand the Top Textbook program, an initiative that requires GW Libraries to have copies of popular textbooks for students to use for free for two-hour time periods in the library. Why he wants to return to the SA: After learning the ins and outs of the senate this academic year, Tyrell Garner said he wants to continue his advocacy work as a voting senator who can influence change in the SA. What he’s done this year: Garner said he’s been “more of an activist than anything.” When he joined the senate, Garner said he wanted to establish an emergency fund for students from low-income families to assist with costs like books and SA fees. What he wants to do next: Garner said he will continue advocating the creation of the emergency fund or some other sort of recurring fund to leave for students after he graduates. He also wants to get more graduate students involved in the SA and make them more aware of SA initiatives by increasing outreach to the group. Sen. Scott Barber, SMHS-G, who is running again for the same seat, declined to comment for this story. This article appeared in the March 26, 2018 issue of the Hatchet.